Egg whites are one of the best protein sources for building lean muscle mass. I try to always have hard boiled eggs on hand for this quick and delicious hummus stuffed egg whites snack. One of my favorite snacks is to take a hard boiled egg, slice in half, remove the yolk and fill with hummus. Top with a little freshly ground pepper. I love the Sabra roasted red pepper hummus and the basil pesto hummus for making these protein-packed hummus stuffed egg whites. Hummus is easy to make, if you prefer homemade. I had a great recipe for Roasted Red Pepper Hummus from scratch. It is a good source of fiber. Try it! 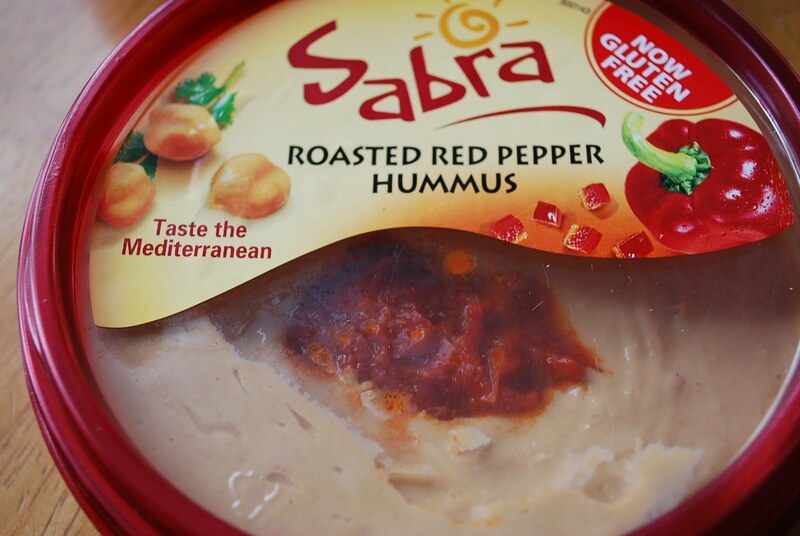 For convenience, you can just buy Sabra’s delicious Roasted Red Pepper Hummus…..
What a brilliant idea. My daughters just decided to take up bento-making as a summer hobby. I bet stuffed egg whites would make a pretty bento addition. Love it!! This is so cute, and sounds incredibly tasty! I have to try this… Thanks for sharing!